Here's a reformatted, tidied and corrected version of the original post (which still exists here on the Truth is as Strange as Fiction (now Truth in Fiction) blog.) Truth is as Strange as Fiction was a blog that looks at reality as it relates to fiction. Time's Square, August 14, 1945. 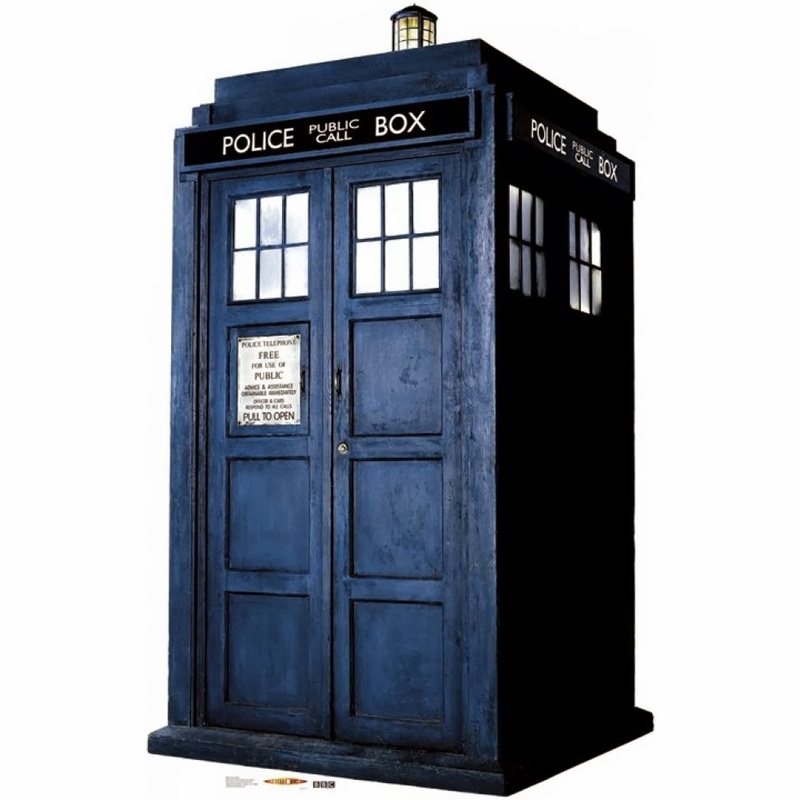 Some see this as simple proof that the Doctor exists, but that's a given. 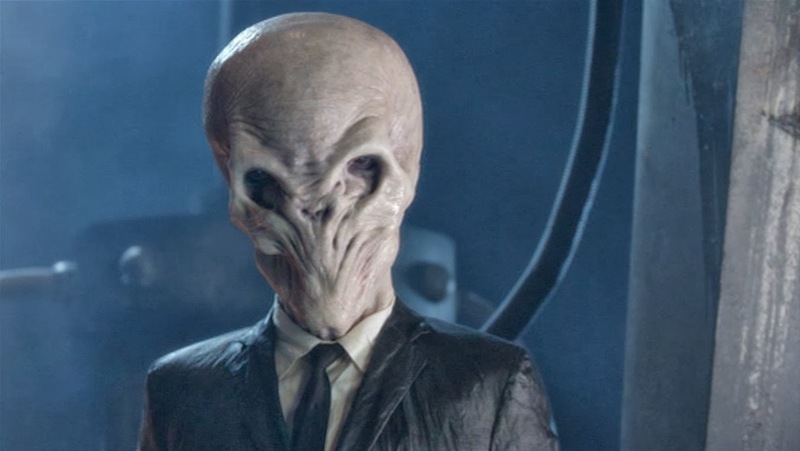 Now, see, this photo is so much more important to the Doctor Who mythos that. In "Asylum of the Daleks", the Oswin deletes information about the Doctor from the Dalek's Pathweb. 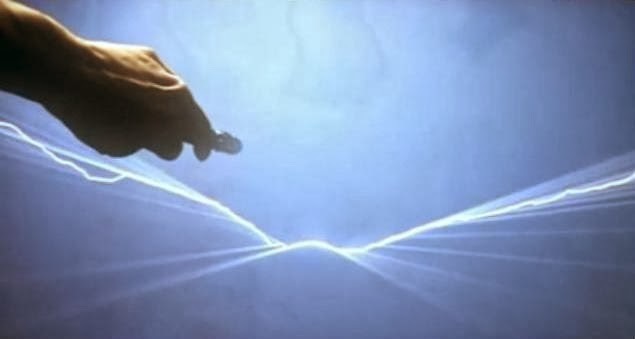 After that the Doctor used technology reverse engineered from Silence technology to erase information of himself from the universe (shown in "The Inforium" (DVD Extra) and the effects in "Dinosaurs on a Spaceship"). What does this have to do with this picture? Well, as you can see on the right some versions of the photo the Ninth Doctor does not even appear. A sure sign that his attempt to delete himself is working. Somewhere, Sometime (probably the 1940s). 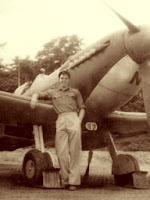 Look, there's an old picture of a guy that looks like Captain Jack Harkness. 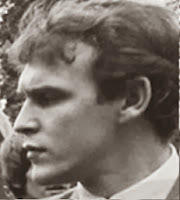 Sure, I know what you're thinking: it's a fifty-fifty thing; It's actually Jack, or it's actually his doppelganger (someone who looks like him, not a Flesh) but you're wrong. It is four times more likely to be Jack than another person. To explain: The Ninth Doctor and Rose first met Jack in the 1940s ("The Empty Child") and took him to the far future where he died, came back to life and escaped back to 1869 and lived up until the 21st Century, thus living through the 1940s a second time ("Utopia"). Then he accidentally travelled through a timehole to the 1940s, a third time ("Captain Jack Harkness"). He later ended up in 27AD and asked to be cryonically preserved until the present. He exists in the 40s four times, and is thus it is four times more likely to be him. The above panel shows something that looks suspiciously like a TARDIS painted on a rock-face thousands of years ago. Notice that that in the same area there are dozens of police phone boxes. 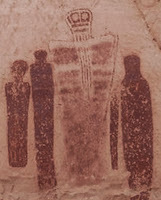 In fact, the Barrier Canyon-style rock art extends from Utah into Colorado, and show thousands of the Doctor's time machine. The guy really must have liked the place. There are regular sightings of the Doctor all over the place, like the Saint Louis Science Center (above). However, it's important not to confuse actual sightings with the actors playing the Doctor. 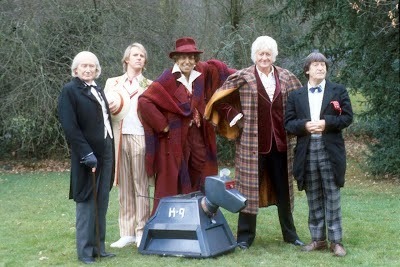 For reference: the second picture (right) features the 3 actors who originated the roles of the Second, Third and Fifth Doctors. A "space ball" looking vaguely spherical like the Toclafane fell to Earth in November 2011. Reports note that objects like it had been found all over the world since the late 70s. 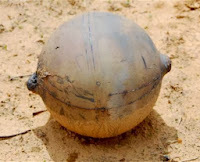 UFOlogists report them to have no terrestrial explanation for these objects. 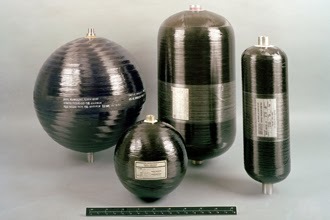 The photo to the right is a range of Composite Overwrapped Pressure Vessels used by NASA, added for no particular reason. An infra-red image recorded by the Splitzer Space Telescope in 2006. This was, of course, 4 years before the first broadcast of "The Eleventh Hour", but years after The Doctor first saw it in young Amelia's room. 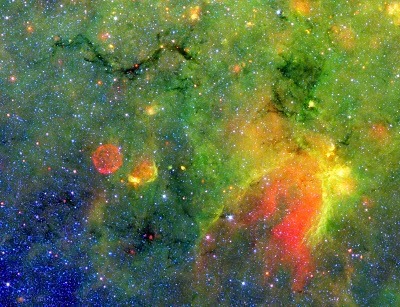 It was dubbed the "Space Snake" by scientists who mistakenly believe it is a massive cloud of dust and gases that may contain newly formed stars but if you were within it there'd be nothing but darkness. 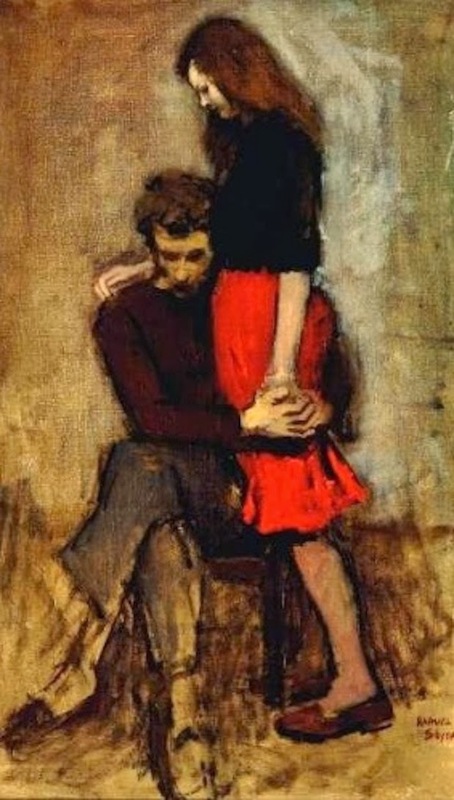 Some twenty-one years after Rory and Amy were sent back in time at the end of "The Angels Take Manhattan" and ten years before they found and raised the toddler Mels, Russian born painter of people from the streets of New York did this painting of a this familiar looking couple. I say "familiar looking," because there's actually no way this is Rory and Amy. That skirt isn't short enough for it too be Amy. The Van Gogh Museum, 2013. In "The Pandorica Opens" a Van Gogh painting of an exploding TARDIS is found by the British and kept as part of the royal collection. In 2011 testing started on a painting believe to be the missing Sunset at Monmajour and in 2013 it's identity was confirmed. 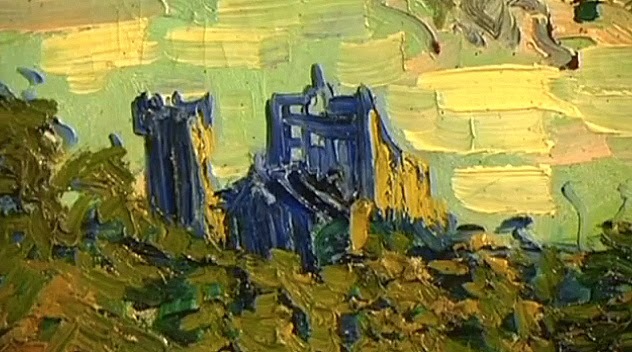 The painting includes the TARDIS (as shown in the detail above), but the abbey of the title (right) is nowhere to be seen. 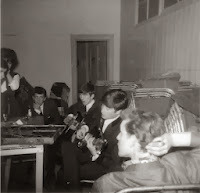 In the year Doctor Who first aired the above photo was taken showing the 11th Doctor with the Beatles. It's unfortunate that Neil Aspinall (pictured, right), school friend of the Beatles and their road manager -who purchased a second hand van to drive them to gigs in - wasn't there, I'm sure he'd find the TARDIS particularly handy. Ever walked into another room and forgotten why you left the first room, like something disappeared completely from your memory? 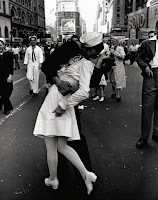 Ever had feelings of déjà vu, like these events have happened before but you couldn't remember them until this instant? Ever felt compelled to do something but didn't know why? Ever had inspiration, an idea that came to you from seemingly from nowhere? 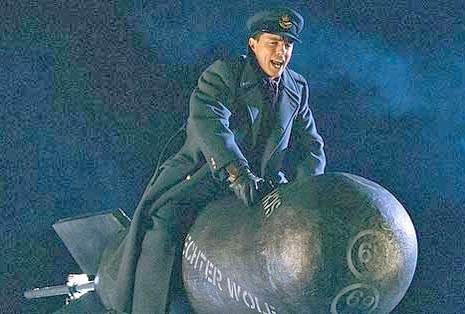 Ever felt a sudden murderous rage for do apparent reason? Me, too. Well, not that last one. That last one means there's something wrong with you. I'd see someone about that. WHOO! I KNEW IT! DOCTOR IF YOUR READING THESE COME FIND ME! I don't think the Doctor's reading this.